Click here for past event recordings and materials! FREE Prizes and Treats all week! 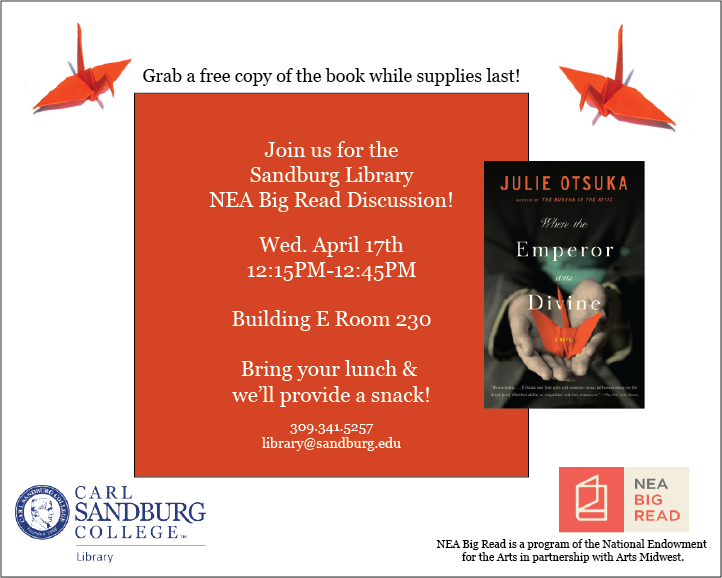 Before the event, stop by the Sandburg Library to pick up a FREE copy of the book When the Emperor was Divine by Julie Otsuka while supplies last. 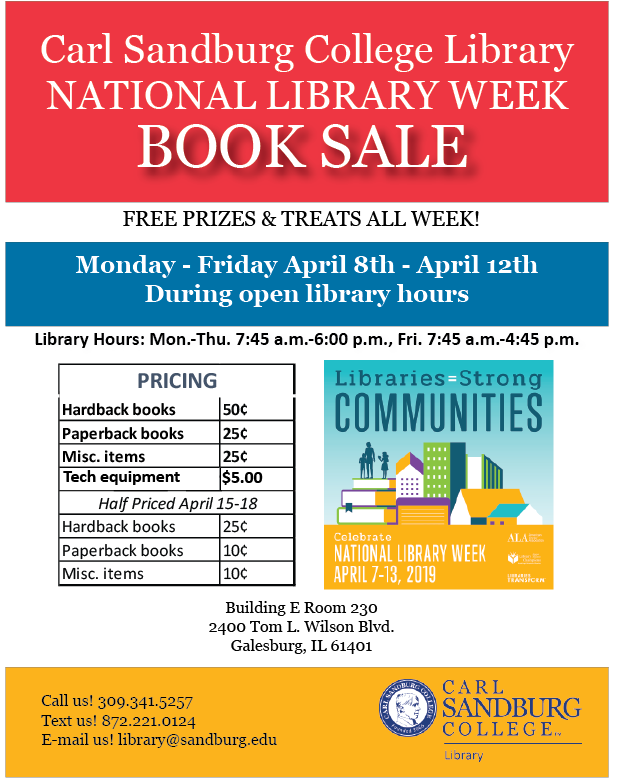 Free copies will also be available at Galesburg Public Library. Join us in the Sandburg Library Wednesday, April 17, 2019 12:15-12:45 p.m. for a book discussion of When the Emperor was Divine. 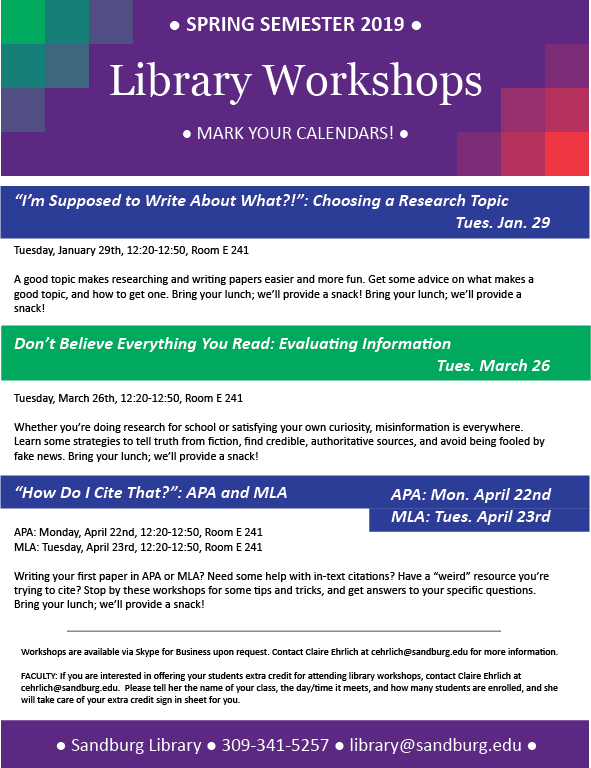 The discussion will be led by Coordinator of Library Services Rebecca Eaton. Learn more about the novel, https://www.arts.gov/national-initiatives/nea-big-read/when-the-emperor-was-divine. Bring your own lunch and we'll provide a snack! 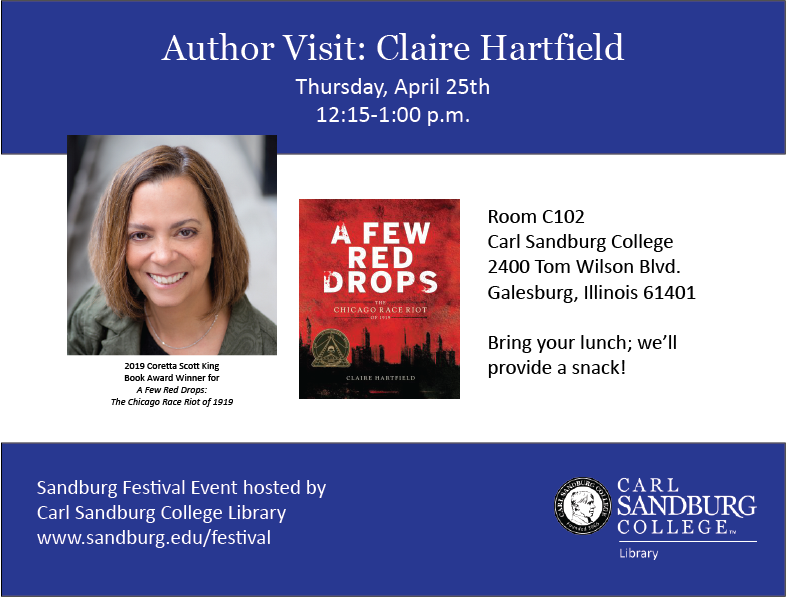 Join us in Room C102 for a special literary treat with author Claire Hartfield, winner of the 2019 Coretta Scott King Book Award for her YA nonfiction title A Few Red Drops: The Chicago Race Riot of 1919. For more Sandburg Festival Events, visit www.sandburg.edu/festival.